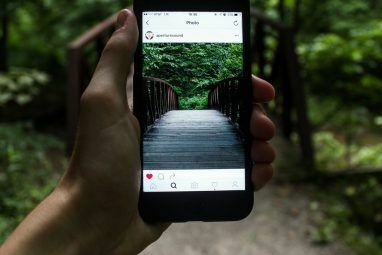 The mobile Instagram app has traditionally been the only known way to access the Instagram community Instagram Isn't a Photography App, It's a Community [Opinion] Instagram Isn't a Photography App, It's a Community [Opinion] Over the past month, there's been a renewed deluge of articles arguing over Instagram's merit as a photography tool. Every so often, tech bloggers, photographers and journalists come together in a discussion over the merits... Read More . In the early days their homepage only had links to download the app on your Android or iOS device. 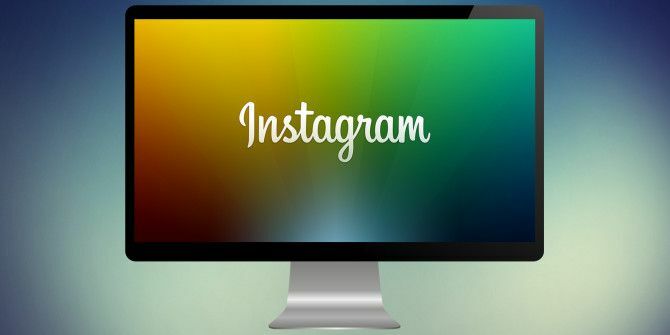 Since then, they’ve allowed you to view your feed and comment and like photos, but it still isn’t a desirable way to use Instagram on your desktop How to Use Instagram on Your Windows Desktop How to Use Instagram on Your Windows Desktop Want to use Instagram on your desktop? Here are the best methods for viewing and sharing photos using the service on Windows. Read More or the web to search, discover and interact with others. There are many ways to use Instagram without a mobile device How To Create An Instagram Account & Upload Photos Without A Mobile Device How To Create An Instagram Account & Upload Photos Without A Mobile Device You don't need a smartphone to upload content to Instagram. Here are five awesome workarounds you might not know about. Read More . In fact, the web has become clogged with “Instagram web viewers” 7 Stylish Ways To Bring Instagram To The Web When Mobile Is Not Enough 7 Stylish Ways To Bring Instagram To The Web When Mobile Is Not Enough Instagram's popularity calls for a way to use Instagram on the web, but an official way to do this still doesn’t exist. The lack of official solution brought about an abundance of unofficial means to... Read More . And while most of them are junk, there are a few that shine through this colossal mess of web apps. Note: Instagram recently updated their web interface to allow allows clickable hashtags from a photo, taking you to a page displaying all photos with that hashtag. This is a great step forward, although image discovery and a search field still aren’t present. Copygram focuses on the printing of Instagram photos, but when you go to grid.copygr.am, you get a clean view of your Instagram feed, with the ability to like and comment on photos. Copygram has some great discovery tools and advanced searching based on location, username, hashtag, place name or category. It even includes a search guide for instructions on how to search. You have the additional ability to backup your Instagram photos Polaroids In The Wind: Have You Backed Up Your Instagram Account? Polaroids In The Wind: Have You Backed Up Your Instagram Account? Ah, Instagram. There isn’t much that hasn’t been said about the photo-sharing phenomena. When I think about it, it still surprises me how a simple app like Instagram achieved such am superior status, but even... Read More too. The downside to Copygram, however, is that unlike the others mentioned in this article, you have to create an account, registering your email, instead of just logging in with Instagram. Pinsta.me provides an intuitive design that is easy to adjust 5 different ways: small, medium or large photos in full or compact views. You can like and comment on them and use the “Explore” feature to discover photos and users based on “popular”, “random”, “just now” or specific category channels like art, pets, tech etc. Instafall was actually a service recommended to me by a MakeUseOf reader. It has a TweetDeck-like design, featuring columns for each “view” that most websites dedicate another page for. On Instafall there are no “other pages”. You can, of course, like and comment on posts, view specific users’ profiles, and add custom columns of a user, hashtag or “nearby” photos. There are two primary features that make Instafall standout: “nearby search” and real-time updating. The nearby search function isn’t limited to a specific hashtag, but rather your location. It’s also a great way to discover “local hashtags”. Though the layout works great for me and isn’t too busy, not all may like the column layout. Extragram is a decent Instagram web viewer with a modern, grid-style layout. You can view your feed and likes. 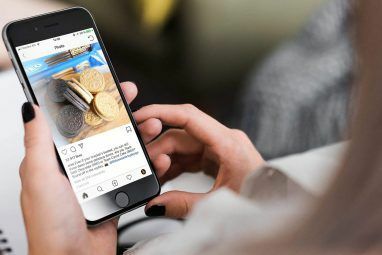 Its discovery and searching capabilities include both “popular photos” and results of users and unusual hashtags 10 Unusual Hashtags You Need To Follow On Instagram 10 Unusual Hashtags You Need To Follow On Instagram In the crowded space of Instagram, it is the quirky photos that draw the eye. Follow these ten unusual hashtags if you like your photos to be a little bit off the beaten track. Read More similar to your search query, instead of only being limited to your specific search. Extragram’s interface doesn’t auto-adjust to your browser’s dimensions and you can’t change the layout or size of images. A similar website to Extragram that you may have heard of is called LoginGram. It has about the same capabilities and allows downloading Instagram photos, but with a less intuitive interface, in my opinion. If you’re looking for a streamlined Instagram viewer, this is it. Swipemy.pics doesn’t have many features beyond liking photos and viewing your own or a specific user’s feed, but its clean interface landed it a spot on the list. Even while maintaining a minimalist approach, it could have a few more useful features like searching hashtags or including some discovery or advanced search features. Which Instagram Web Viewer Do You Use? 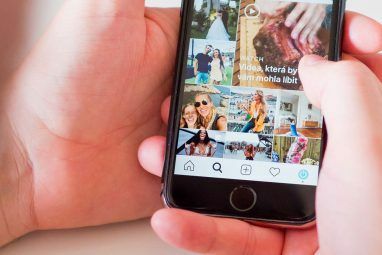 Is there a different web viewer that has improved your Instagram experience 12 IFTTT Applets Every Instagram Addict Needs to Use 12 IFTTT Applets Every Instagram Addict Needs to Use Instagram is a great way to share your photos. But with IFTTT, it can become much more than that. All it takes is a few clicks. Read More ? Have you used any on this list? We’re always open for feedback in the comments! instawebgram.com is the best web viewer! Is there a web instagram viewer that allows you to delete your photo? On the website of swipemy.pics they said you can zoom, but somehow that doesn't work for me. Does anyone else have the problem? I don't believe you can zoom on the web interface without a touchscreen. Try it on a phone, tablet or touchscreen laptop though -- it should work. The one major con in many of these, and I'd really like to find one that it's not so overwhelming on, is the constant barrage of popup, and redirect ads. I realize they need to cover expenses but it gets so ridiculous you can't even view user pictures.